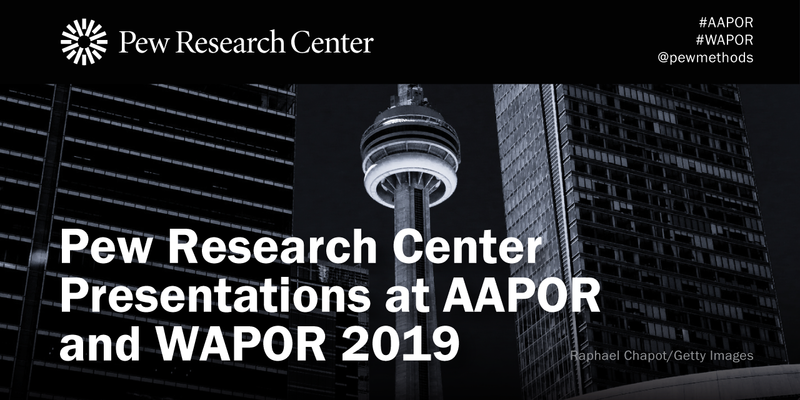 Pew Research Center’s experts will be presenting multiple papers at AAPOR’s and WAPOR’s 2019 annual conferences in Toronto. Related Report: On a scale from 1 to 10, how much do the numbers used in survey scales really matter? Director of Survey Research Courtney Kennedy will deliver remarks at the AAPOR 2019 Awards Banquet. Associate Director of International Research Methods Patrick Moynihan will chair a joint WAPOR and AAPOR session on cross-national surveys. Related Quiz: How well can you tell factual from opinion statements?